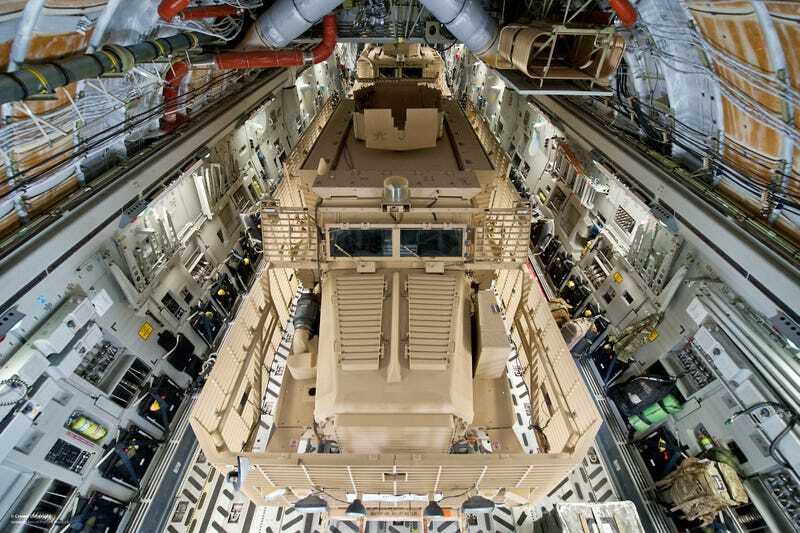 When I first saw this photo of a Mastiff armoured vehicle being loaded onto a C-17 Globemaster, I thought: this is how a Transformer probably looks in its mother's mechanical womb. The photo was taken on the 16th of July, 2014, when the British Army and Royal Air Force transported two Mastiff armoured vehicles from Camp Bastion, Afghanistan back to the UK. The closure of Camp Bastion will be complete by the end of 2014.